Ensure the device drivers are installed. 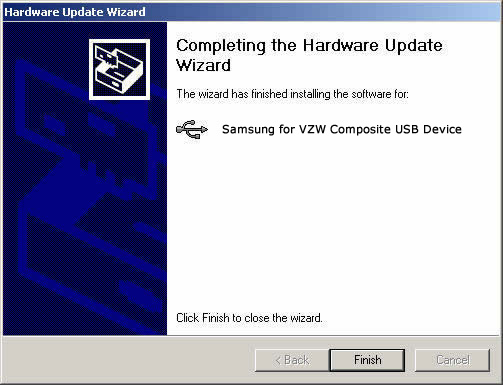 Refer to Installing USB drivers for further assistance. If using Windows Vista, right-click the device then click Update Driver Software. 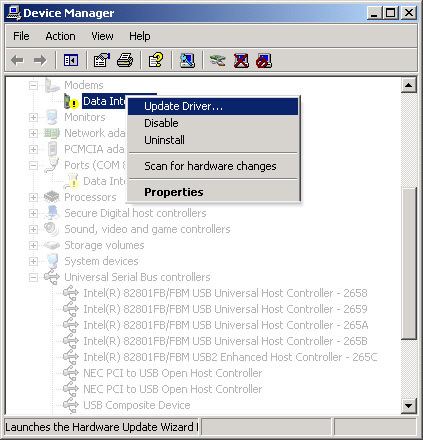 The device name may vary from the following example. 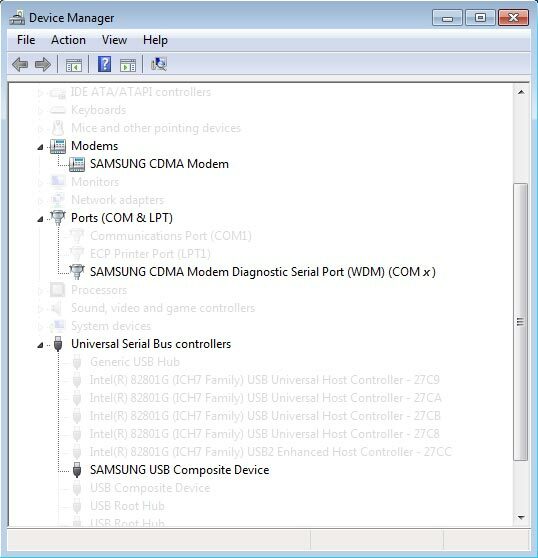 If using Windows Vista, click Browse my computer for driver software. 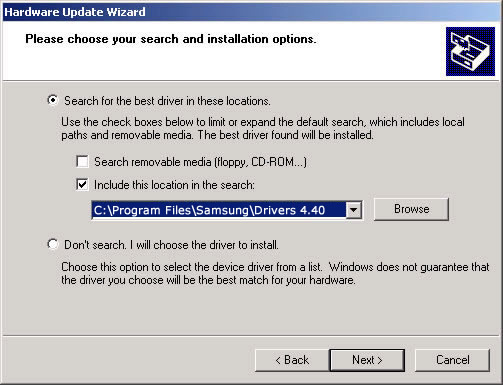 If available, ensure Search for the best driver in these locations and Include this location in the search are selected then enter C:\Program Files\Samsung\Drivers 4.40 into the search window then click Next. If using Windows Vista, click Close.